dated 02.12.1998 for the post of Physiotherapist/Chest Therapist. in pursuance of the show cause notice had been found unsatisfactory. allegations made against the writ petitioner. opportunity to others was clearly violated. decision rendered by the learned Single Judge. and Mr. L.R. Singh learned counsel for the State. Committee, the proposal was sent to then President, Health Department. members in addition to the Director participated. not available in I.G.I.M.S. Patna. Director of aforesaid establishment Dr.
with his In-charge Dr. Sudhir Kumar. Due to his unlawful conduct, Dr.
post of Chest Therapist in the advertisement published in this connection. 11. On the basis of the aforesaid report, a show cause notice was issued. the Health Department and decision was taken to terminate your service. relevant part of which we have quoted hereinbefore. 17. In Radhey Shyam Gupta vs. U.P. State Agro Industries Corporation Ltd.
India, State of Bihar vs. Gopi Kishore Prasad and State of Orissa vs.
terminate with an innocent order under the standing order or otherwise. that the order was punitive in nature. and it will not be a mere matter of “motive”. 23. 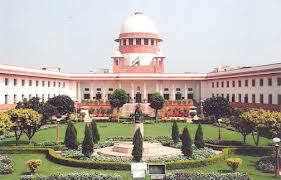 A three-Judge Bench in Union of India and Others vs. Mahaveer C.
ineptitude, whatever the language used in the termination order may be. We respectfully agree with the view expressed herein-above. violation of the rules of natural justice. employer has punished the employee for an act of misconduct. the same also gets accentuated by the stand taken in the counter affidavit. with the view expressed by the Division Bench.